Happy 2019, fight fans! I’m not the “new year, new me” type of person, but the calendar change has me feeling rejuvenated and ready for another year of MMA insanity. A few of the “heavy hitters” in the MMA world are back from hiatus as ONE Championship returns on Saturday from Indonesia with “Eternal Glory.” Later that evening, the UFC is live from Brooklyn, New York with “UFC on ESPN+ 1”. As the name implies, this event is the first chapter in the UFC’s deal with ESPN and features a champion vs. champion headlining fight, as the UFC bantamweight champion TJ Dillashaw challenges Henry Cejudo for his newly acquired UFC Flyweight Championship. 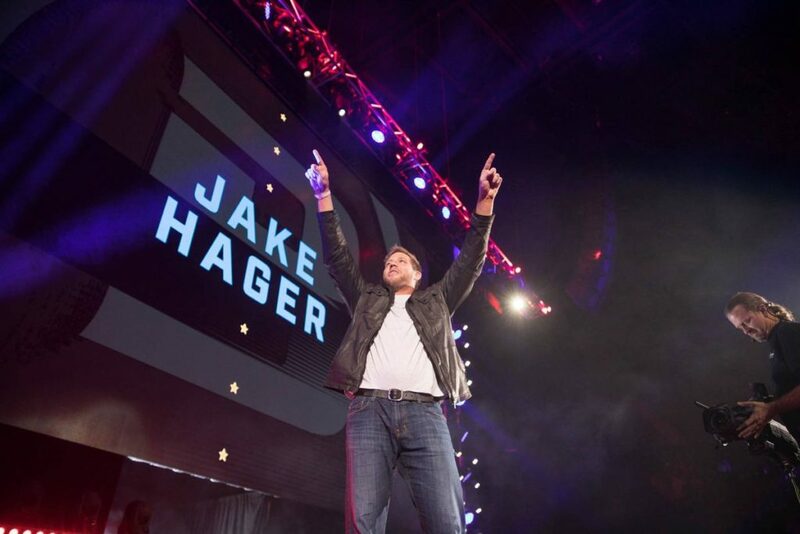 If that’s not enough, LFA 57 is live from Colorado on Friday, and CES 54 will provide you with entertainment on Saturday between the ONE and UFC cards. There are three championship belts on the line between those four cards, but only one of those fights cracks my list of the three best fights of the weekend. Let’s get right into those fights! The co-main event rematch between Lee and Kelly gets me a little more excited than the solid main event flyweight title fight at ONE: Eternal Glory. The highly anticipated first fight between these two perennial contenders at “ONE: Beyond the Horizon” ended in controversy when Lee seemed to have finished Kelly, but met disqualification for an illegal suplex. After an early takedown, Lee took the back of Kelly. Kelly was able to get to his feet but could not break the grip of Lee. Lee, with his arms still clasped around the waist of Kelly, suplexed the 34-year-old. 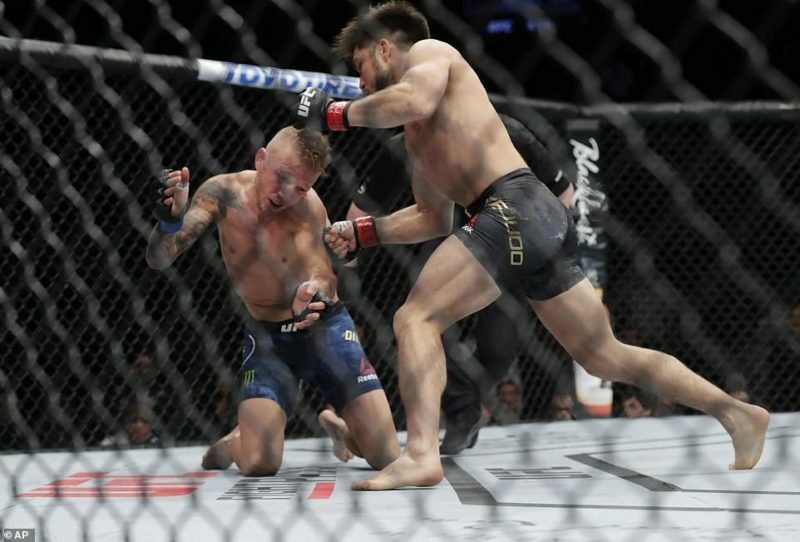 Kelly was badly stunned from the impact, and the referee finally waved it off after some follow-up strikes from Lee, who was celebrating his apparent win until he learned of the disqualification. The breakdown of this fight hasn’t changed much since September, and that’s not a bad thing, as fans are in for a treat in the form of a bout between two men who have combined for 19 victories by stoppage. Despite being 14 years the senior of Lee, Edward “The Ferocious” Kelly only has three more pro MMA bouts to his name. Kelly has a slightly more definitive advantage in pure striking. The Team Lakay standout has the more fluid combinations and the edge in power, with the ability to end the fight with a variety of limbs. An explosive wrestler like Lee, who loves to shoot for the takedown, will need to be on high alert for the head kick technique of Kelly. Just ask Vincent Latoel and Meas Meul. Both men met a fight-ending shin across their forehead after dipping their heads. The athleticism and grappling edge certainly lie with Team Evolve’s Christian “The Warrior” Lee. 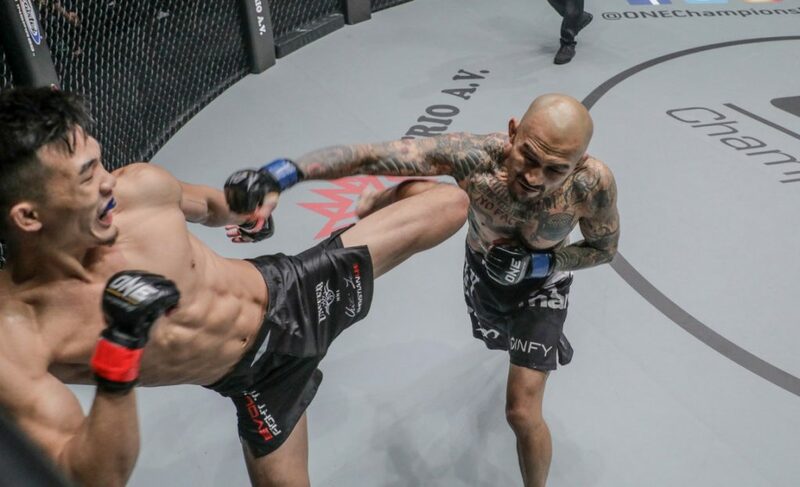 Lee has ten wins to his name and has already fought for a ONE Championship title, all at the ripe age of 20. Lee’s game is ever evolving, and he could undoubtedly remain competitive with Kelly on the feet, but his most natural path for victory lies on the mat. Lee has an arsenal of explosive takedowns, whether it be a trip, double-leg or (preferably legal) suplex. 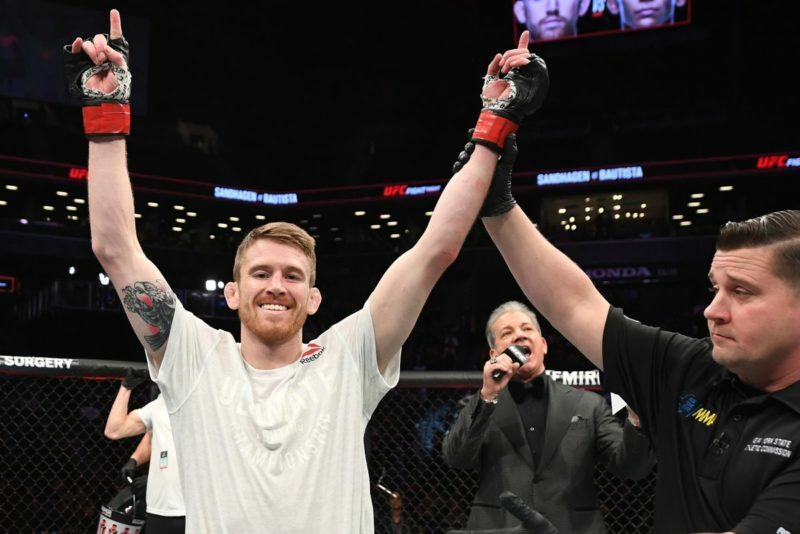 Kelly has previously shown a susceptibility to strong grapplers, and Lee’s confidence is undoubtedly at an all-time high after getting the early takedown and taking the back of Kelly in their first fight. “The Warrior” will need to keep that confidence in check, as any lapse in judgment against Kelly can end in disaster. “If you go back and watch the fight, clearly it was not a loss. However, I just want to use this as a chance to erase that disqualification, to make a wrong a right,” Lee shared with The Body Lock. Two world-class fighters have unfinished business to settle on Saturday, and you better make sure you watch it all unfold. This fight could be the main event any non-pay-per-view card that the UFC puts together. Instead, Donald “Cowboy” Cerrone and Alexander “The Great” Hernandez are given the opportunity to shine on ESPN as the headlining fight of the prelims before the card switches over to the ESPN+ streaming service. It would be easy to oversimplify this fight as “rising star” vs. “the old guard.” Hernandez sure sees it that way and believe this is just another step forward before his inevitable title reign. Someone may need to let Cowboy know about those plans. 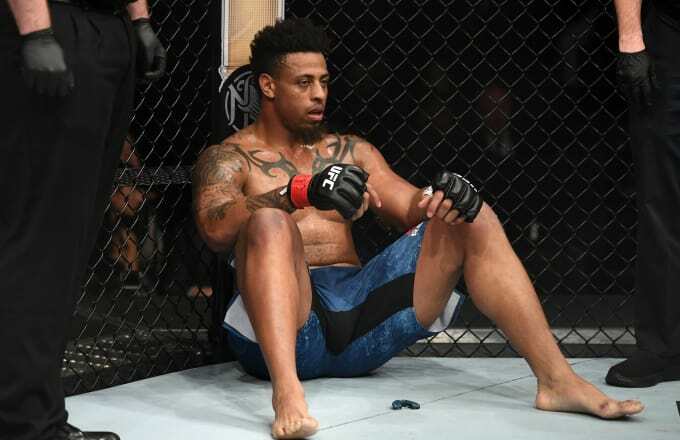 It doesn’t seem like the 45-fight veteran has any intentions of being a stepping stone to a title shot for someone else, having called out the current UFC lightweight champion Khabib Nurmagomedov after his last fight. Saturday night will be an accurate indication of where both men stand in this division full of sharks. Cerrone returns to lightweight after mixed results at 170-pounds. A win over the surging Hernandez is a necessary first step in proving that the division’s top talent has not left him behind. Hernandez has already established that he belongs in the top-15 of after a quick finish over Beneil Dariush and a grinding win over Olivier Aubin-Mercier. While those wins cemented his spot in the rankings, they did not cement his status as a genuine title threat. A win over Cerrone brings him one step closer to accomplishing just that. If there’s a fighting style that Donald Cerrone hasn’t faced in his career, I have no idea what it is. At this stage, I don’t think Cerrone heads into camp focused on a particular fighting style of his opponent because he lacks experience in that area. That doesn’t mean he is without his weaknesses. In the last several years, Cerrone has often struggled with powerful, pressure based fighters. The fighters that have high output or high work rate that can keep Cerrone on the back foot have found great success against “Cowboy” especially in his run at welterweight. Alexander Hernandez looks the part of that fighter. His last fight against Olivier Aubin-Mercier was a display of weaponized cardio and pressure. The 26-year-old former LFA champion did not let the Canadian Aubin-Mercier breathe. 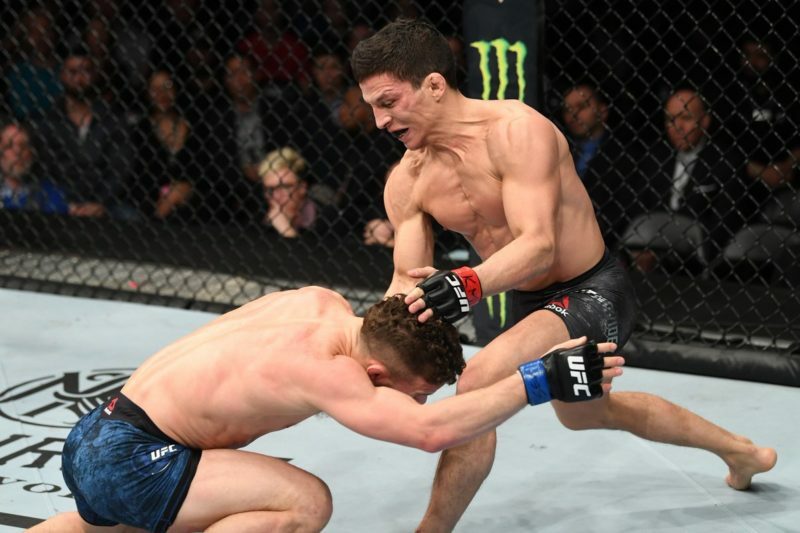 From the opening bell, Hernandez kept his opponent on the back foot, launching combinations in his face that both delivered damage and helped to close the distance for a takedown. By the third round, Aubin-Mercier was visibly fatigued while Hernandez looked fresh and maintained the same pace from the first round on his way to a decisive unanimous decision victory. It’s not all bad news for Cerrone fans. Hernandez’s win came with flaws and openings that a well-rounded vet like “Cowboy” can exploit. Hernandez’s striking, while useful, left him open for counters. On the ground, Hernandez was swept by Aubin-Mercier and threatened with a straight arm-bar that he was ultimately able to escape. That scenario may have ended differently with a slick submission threat like Cerrone. The stacked lightweight division will have another contender added to the ranks when the dust settles on Saturday. Will it be the fiery, 26-year-old Hernandez or the familiar face of an old “Cowboy”? I can’t wait to find out. When Demetrious “Mighty Mouse” Johnson was the reigning UFC flyweight champion, talks of a “super fight” with the UFC’s bantamweight champion arose frequently. Those talks intensified when TJ Dillashaw reclaimed the bantamweight title, as a super-fight between he and Johnson was a mouthwatering proposition. 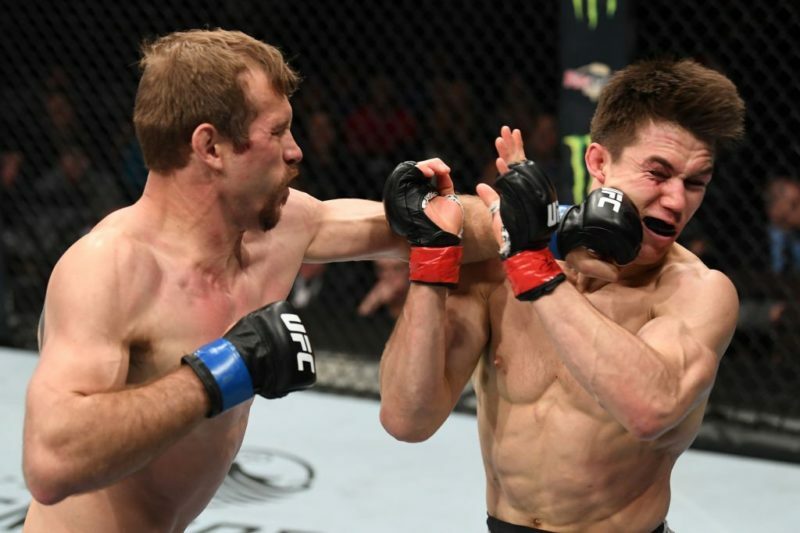 When Henry Cejudo defeated Johnson for the UFC Flyweight Championship at UFC 227, those desires for a super-fight didn’t necessarily carry over. Unlike Johnson, Cejudo had not cleaned out the flyweight division. There were a plethora of contenders, and a trilogy fight with Johnson, that needed to take priority over a battle with Dillashaw. When the fight with Dillashaw became official, it felt like a desperate attempt to garner interest by throwing together a “super fight”. Fast forward a bit and Johnson left the UFC, triggering a mass release of UFC flyweights. It now seems that Cejudo is not only defending his title on Saturday but is defending an entire division. It took me a while to process this match-up, but I can’t be any more excited. The internet is ripe with fantastic in-depth breakdowns of this fight, so I will keep my analysis simple. Dillashaw will charter unfamiliar waters when he cuts an extra 10 pounds to the flyweight championship weight limit. His attack relies so heavily on footwork; cutting angles on offense and remaining elusive on defense. It is a difficult style on a fighter’s cardio, and a brutal weight cut could be the catalyst to a disastrous performance for the 135-pound king. Cejudo’s fight against Demetrious Johnson proved that, even though he has a solid, serviceable striking attack, his Olympic wrestling is a necessity for victory. Cejudo got the nod in the tightly contested decision against Johnson, and it came off the back of the takedown. While not lost on the feet, Johnson got the better of most of the striking exchanges. 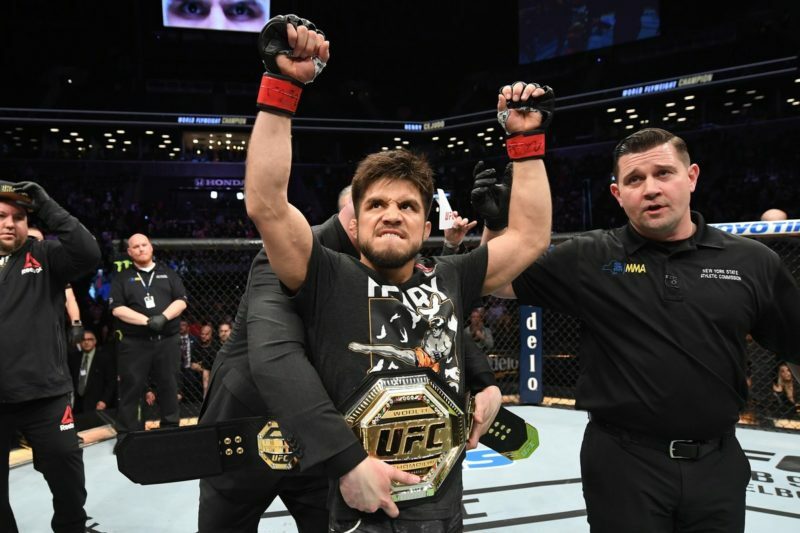 It’s hard to see a fighter like Cejudo who is not a natural striker nor a finisher get his hand raised against Dillashaw without putting TJ on his back. The UFC wants us to watch the main event that’s almost too close to call between two champions that could potentially have the fate of an entire division riding on the outcome. I don’t know about you, but you don’t need to threaten me with a good time! It’s good to be back. Enjoy the fights!